So this past Saturday, I had the opportunity to be on a local radio show here in Savannah. It’s called Muses, Memoirs, and More, and it features authors and other creatives from the Georgia area. My buddy Adam Messer hosts it, you may remember me mentioning him from the Savannah Quill Convention. I got to be the guest on the second episode, which was really cool. After the episode, Adam edits it and posts it to YouTube. I’ve shared it with y’all here. Give it a listen and if you like the format, give a like and subscribe to the YouTube page for more content. Also, make sure you subscribe to hear next weeks episode! Adam and I are switching seats and I will be hosting and interviewing him! Adam has a background with writing a local column here in Savannah and you can learn about the origin of the Savannah Quill Book Convention. Have you listened to the Audiobook version of A New Death: CJ’s Story yet? Here’s the first part of A New Death: CJ’s Story, the audiobook version. You can read along with the free ebook available here. 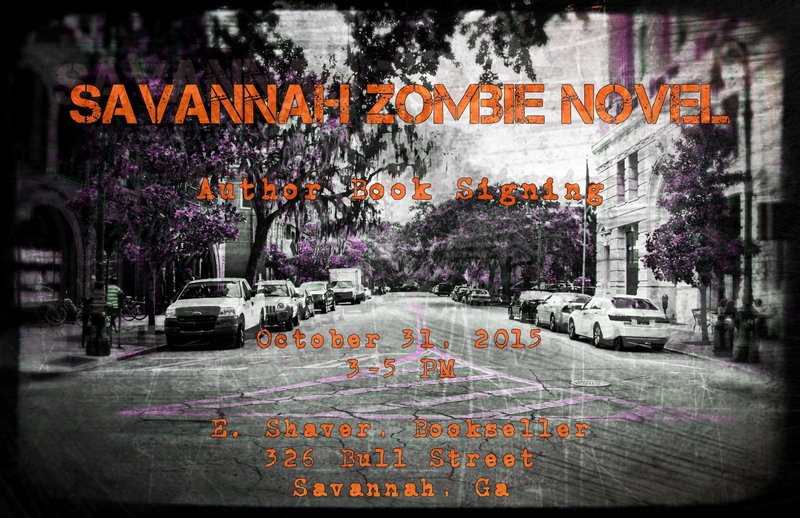 This short story set in the Savannah Zombie Novel universe takes place at the same time as the first entry, A New Death. It focuses in on thirteen year old CJ and his family, who appear in A New Darkness. This story bridges books 1 and 2. Ok, so I didn’t just submit my book to the Tybee Island Book Festival. But I did do so in the last week. Pretty excited about a local book festival that includes both traditionally published and self-published authors. We have the Savannah Book Festival here every year, but as of right now, they only except traditionally published authors. Which is kinda funny to me, because two years ago, they had Hugh Howey, who is one of the more well-known self-publishers. In fact, his self-publishing career is what led to him getting a traditional type publisher, but I digress. I don’t have too many details on how I’ll be envolved with the festival, but I will keep everyone posted.